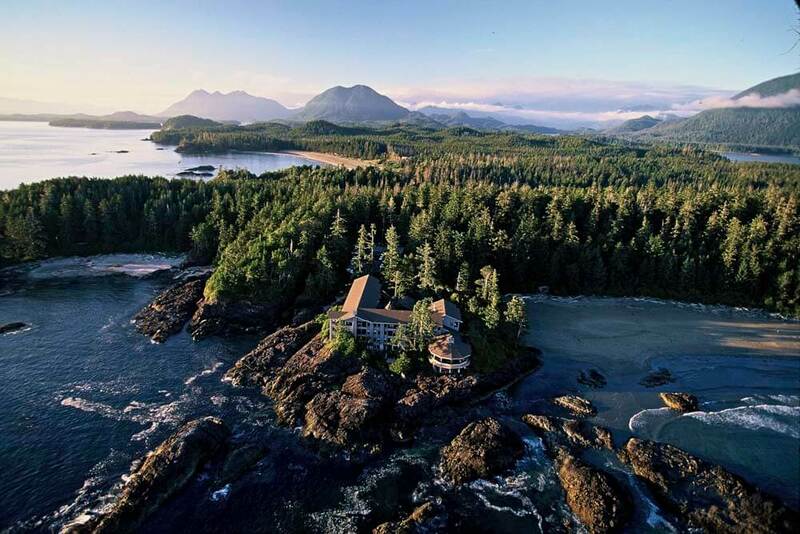 The five star Wickaninnish Inn has become a landmark Relais & Chateau property - the enchanting and critically acclaimed destination on the western edge of beautiful British Columbia. The Inn offers direct access to ChestermanBeach, with panoramic ocean or beach views from every guest room from floor-to-ceiling windows. There are seventy six rooms and suites with fireplace and individual balcony. Deluxe Rooms offer a variety of King and double Queen bedded configurations. 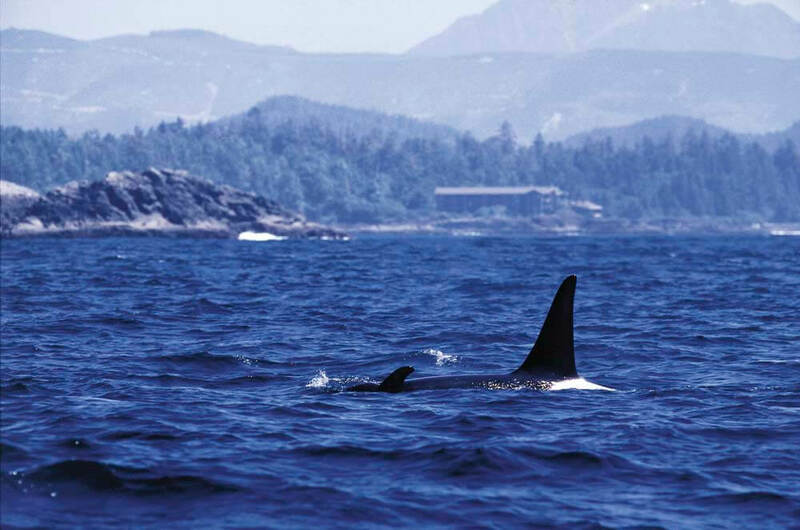 The Premier Rooms are larger corner rooms providing the ultimate West Coast perspective. 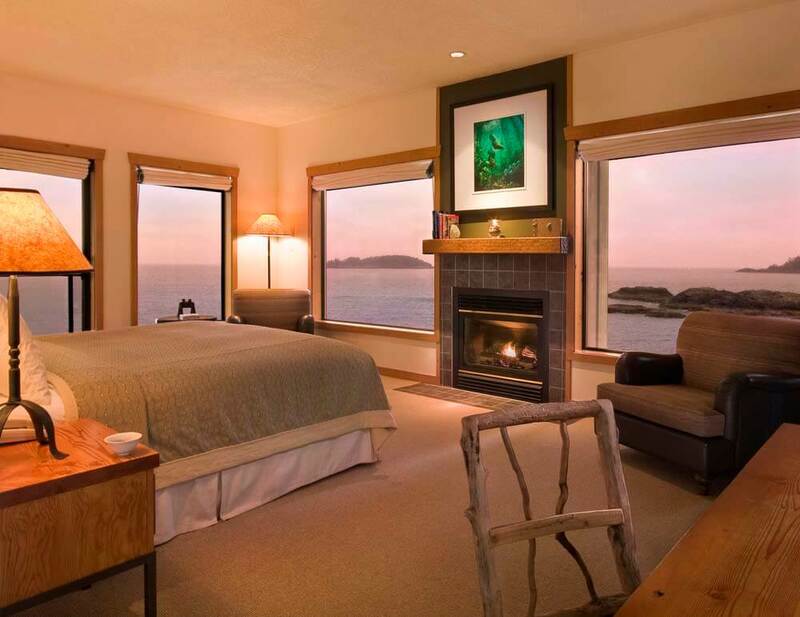 Frank Island Suites are one-bedroom suites with King-sized bed, bathroom, two fireplaces, a cozy living room area with double sofabed and private balcony, all with views of the ChestermanBeach. 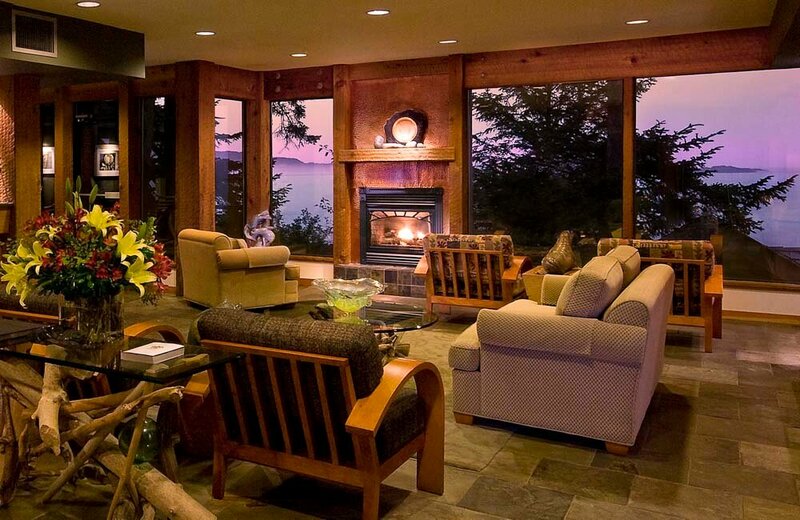 Beachcomber Suites offer a similar configuration to the Frank Island Suites but with a little more of the forest framing the beach-to-ocean views. The Chesterman Beach Lofts are split-level loft suites are on the top floor and feature a King- sized bed complete with spacious bathroom on the upper level. On the main floor of this are all the comforts of home: kitchen, dining area and living room with Queen sofabed, half bathroom, and ocean-to-beach views from everywhere. 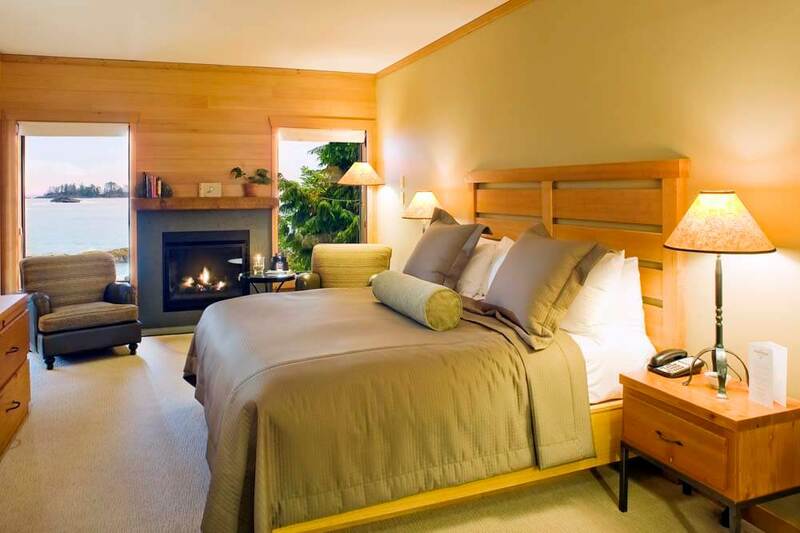 The Canopy Suite - the Inn's ultimate accommodation has a panoramic view of Clayoquot Sound through floor-to-ceiling windows that stretch right across the room, including the bathroom. Featuring a King-sized bed with canopy, living room area, wet bar, fireplace, balcony and an amazing bathroom with side-by-side double bath as well as a multi-jet shower for two. 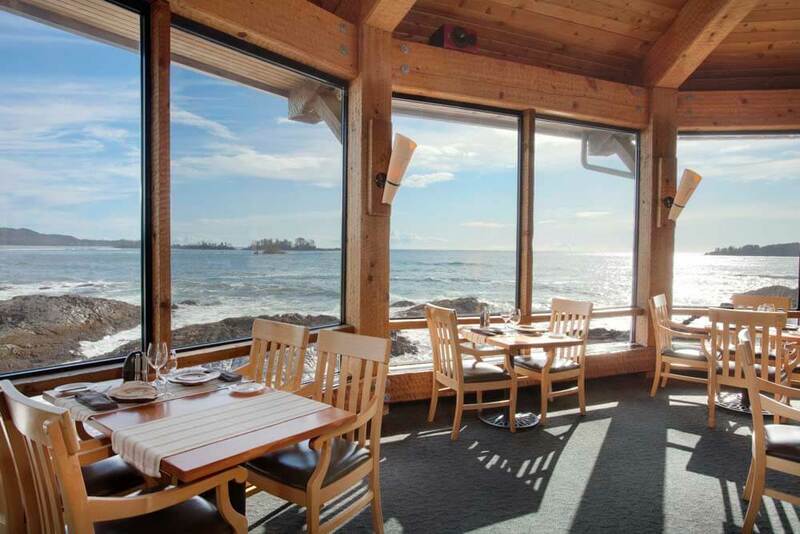 The Pointe Restaurant has a two hundred and forty degree view of the Pacific Ocean. It is recommended that you make reservations in advance. Please contact your consultant if you would like to make a reservation. The Ancient Cedars Spa is an AVEDA Destination Spa that offers extensive body and esthetic treatments.